The Schwan Cup at the Super Rink in Blaine showcases each year some of the state's elite boys' hockey programs, along with the state's top individual talents. Buffalo's emerging young star, sophomore Jake Braccini, proved why the University of Minnesota men's hockey program thought so highly of him when he finished the three-game, three-day tournament finishing with six goals and three assists. Unfortunately for Braccini and his teammates, the Bison boys' hockey team has yet to wow the field. Buffalo has posted a 4-7-1 record in 12 games played since joining the tourney in 2013-14, and has yet to place higher than third playing in the Silver Division. The Bison played well enough this season to win all three games, but slow starts proved costly in a pair of 4-3 losses to Breck and St. Louis Park. Buffalo salvaged its final game of the tournament with a 5-0 win last Thursday, Dec. 28 over Mounds View in the seventh-place final of the consolation round. Braccini scored a pair of goals in Buffalo's 4-3 loss last Dec. 26 to Breck, a game in which the Bison outplayed the No. 7 ranked team in Class A pretty much from start to finish, yet failed to ever possess a lead. "You always aim for the top prize, so definitely the first loss was a big disappointment," said Bison junior defenseman Cal James, on losing to Breck, a team they have lost to three straight years in the tourney. 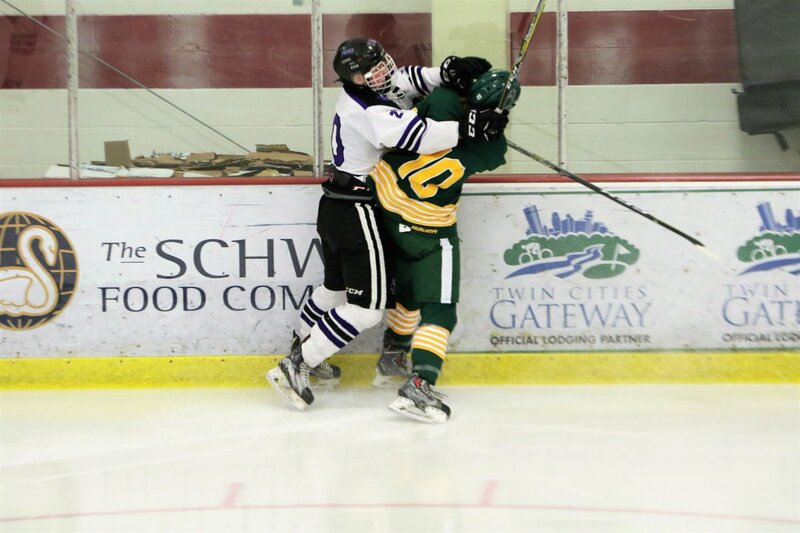 A day after spotting Breck a 2-0 lead, the Bison fell behind 3-0 to a St. Louis Park squad that lost a 4-3 opening-round contest to eventual Silver Division champion Cretin-Derham Hall. Junior forward Ryan Nelson started the Bison's comeback with a goal with six seconds remaining in the second period. Braccini's goal at 7:44 of period three cut the Oriole lead to 3-2. Luke Mobley made it 4-2 for St. Louis Park less than a minute later, but senior Ben Lindvall made it 4-3 with 2:27 left in regulation. 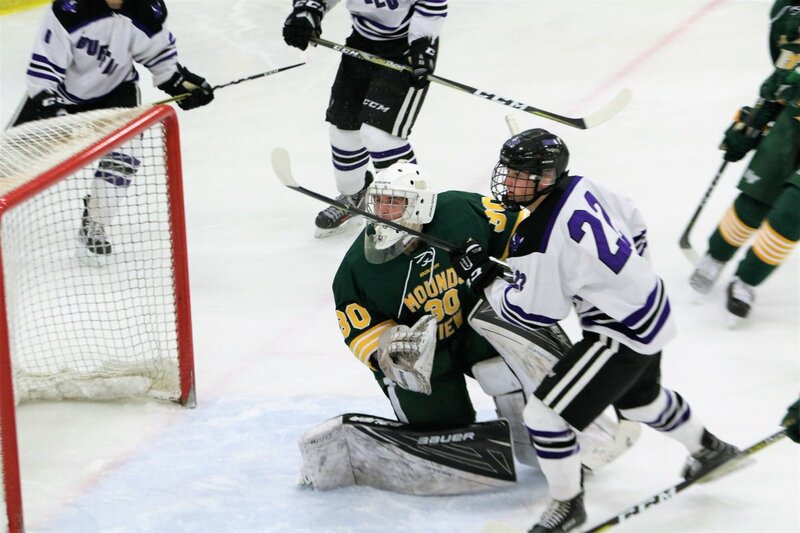 The Bison pulled junior goalie Nathan Mueller for an extra attacker, but could not tally the equalizer. Mueller rebounded strong with 40 saves on 44 shots, after an uncharacteristic tough outing against Breck. "St. Louis Park is a really good team," said Bison Head Coach Aaron Johnson. "We had a really slow start where we gave up 21 shot attempts in the first period. After that, we played pretty well and crawled our way back. We just didn't make the one play we needed to tie it up. "For two periods, we were pretty happy with our effort, but we have to learn to play three periods," Johnson continued. "Again, that's part of the learning process with this young group. We're getting closer to that, so that's the encouraging thing." 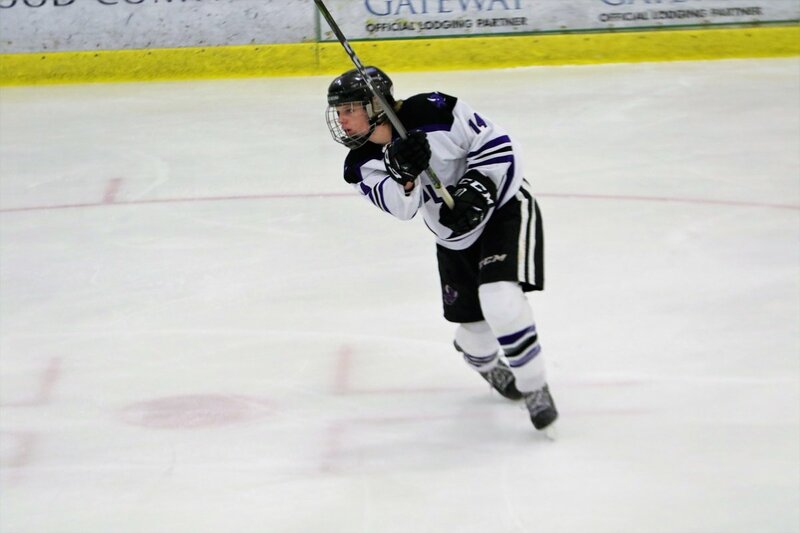 Braccini added two assists to go with his goal against St. Louis Park. After starting the season pointless in his first four varsity games, Braccini has since tallied 10 goals and five assists in his past six. Three of those goals and one of the assists came in Buffalo's 5-0 shutout win last Thursday, Dec. 28 over Mounds View. It was his second hat trick this season. "I think it took a little bit of an adjustment for him, and that's not unusual for anyone when they make the jump from one level to the next," Johnson said. "It took him a few games to make that adjustment he needed to make. Now, we're starting to see his talent come out. He's shooting the puck a little more, which has been big, and he's figured out how to compete with and without the puck. Obviously, we have a pretty special player on our team. He's a nice asset to have." Braccini's first goal against the Mustangs came while the Bison were shorthanded. A lead pass from James sent both Braccinis, Jake and Tyler, on a two-on-two rush. 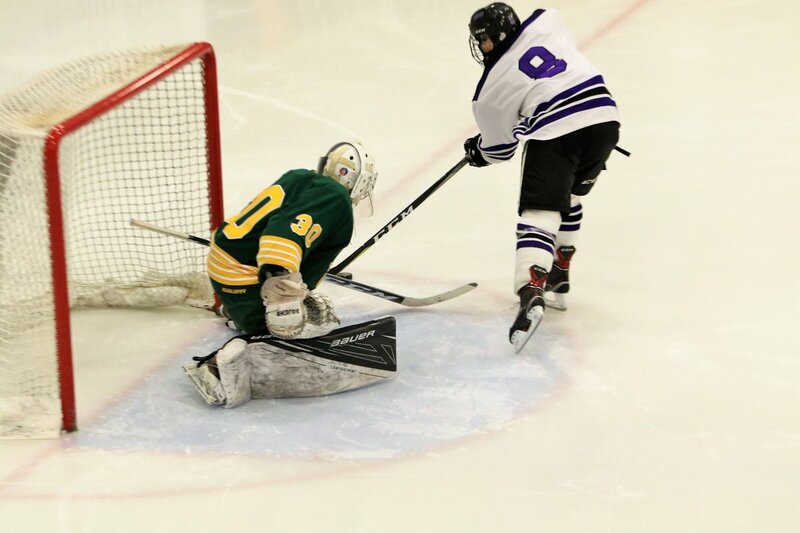 Jake skated to the slot and fired a shot across the grain, past Mounds View goalie Luke Neary. His second and third goals came in period three, the second coming on the power play on a one-timer off a pass from James. The third coming even strength on another errant turnover by a Mustang defender in his own zone. "I was just glad the pucks were going right to my stick; that doesn't happen very often," said Braccini, who tallied two unassisted goals on the week. "I just tried to make sure I buried on those chances, because the goalie sometimes is surprised when they turn it over like that." Braccini credited the big rinks for a lot his recent success. "I love playing on that big ice – it is 15-feet wider than normal," he said. "I'm just happy that we got the win." Each of the eight rinks at the Schwan Super Rink are Olympic-sized ice sheets, which are 200x100 in dimensions opposed to the usual 200x85 sizes. Squeezed between the three Braccini goals were second period tallies by James and sophomore Tyler Braccini. For James, he ended the night with a goal and two assists. It was his second-career varsity goal. Ironically, his first career goal came as a forward in a 5-2 win over Mahtomedi during last year's Schawn Cup. "I'm trying," joked James afterwards when asked about his success at the Super Rink. "It's a good environment down here with a lot of good teams and players. It's just fun coming out and playing a lot of hockey – it's what we love to do." Buffalo (4-6 overall) looks to improve to 3-0 in conference action when they next hit the ice with a 7 p.m. road game on Thursday, Jan. 4 at Monticello. The Moose (9-1-1 overall, 3-0 conference) are coming off their Cinderella-run a year ago in which they finished as Class A runner-up to Hermantown. First period: SLP -- Luke Mobley (Avery Pittman) 1:54; SLP -- Brenton Ryan (Sam Berry, Willy Basill) 13:37, PP. Second period: SLP -- Jack Wandmacher (Blake Neudecker) 3:41; B -- Ryan Nelson (Brett Hanson, Jake Braccini) 16:54. Third period: B -- J. Braccini (Joe McNamara) 7:44; SLP -- Mobley 2 (Avery Pittman, McCabe Dvorak) 8:19; B -- Ben Lindvall (J. Braccini, Joe Carothers) 14:32. Goalies: B – Nathan Mueller (loss) 44 shots, 40 saves; SLP – William Pinney (win) 30 shots, 27 saves. Shots: B – 9-10-11 – 30; SLP – 16-14-14 – 44. Power Plays: B – 0-1; SLP – 1-3. First period: B -- Jake Braccini (Cal James) 3:01, SH. Second period: B -- James (Devin Huebner, Jordan Zelenak) 5:47; B -- Tyler Braccini (J. Braccini, Ben Klein) 8:33. Third period: B -- J. Braccini 2 (James, T. Braccini) 4:22, PP; B -- J. Braccini 3 (unassisted) 16:06. Goalies: MV – Luke Neary (loss) 19 shots, 14 saves; B – Nathan Mueller (win) 20 shots, 20 saves. Shots: MV – 6-7-7 – 20; B – 5-7-7 – 19. Power Plays: MV – 0-6; B – 1-4.